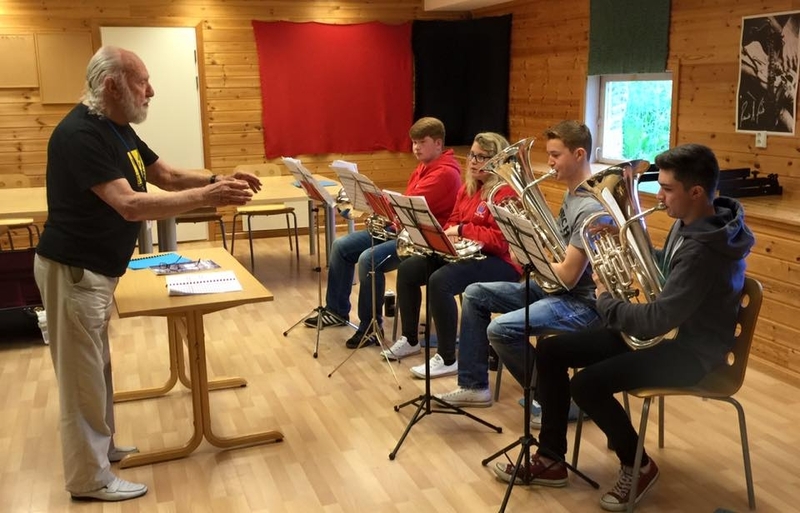 Richard Evans leading a sectional with euphonium and baritone players. DAY two was full steam ahead! After breakfast, it was straight into sectional rehearsals under the guidance of Russell Gray, Richard Evans, John Boax and Eirik Gjerdevik. The rest of the day was split between sectional and full band rehearsals, with Russell Gray and Richard Evans guiding players through their concert programme. By the end of the day, members were ready to relax - and what better way than with a packed quiz, hosted by house staff member Alison Hall.